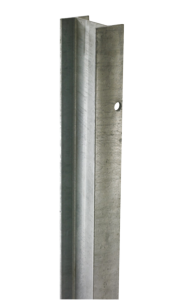 P224 Posts are the single most popular type of post that we supply and suitable for most applications they are used for Minimum Deflection Under Impact. They are available in several sizes and with or without hand rail extensions and are supplied in a hot dip galvanized finish. Additionally they can be powder coated in any colour and hi viz yellow is a popular option. P224 Posts provide for a rigid system with minimum deflection under impact, meaning that there is not much movement backwards when it is struck by a vehicle. The advantage of this is that they can be installed tight up to thing that they are protecting, maximizing space. 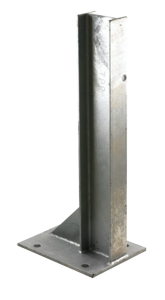 Both cast in and bolt down posts can be supplied in longer lengths and holed to suit double row barrier if required.